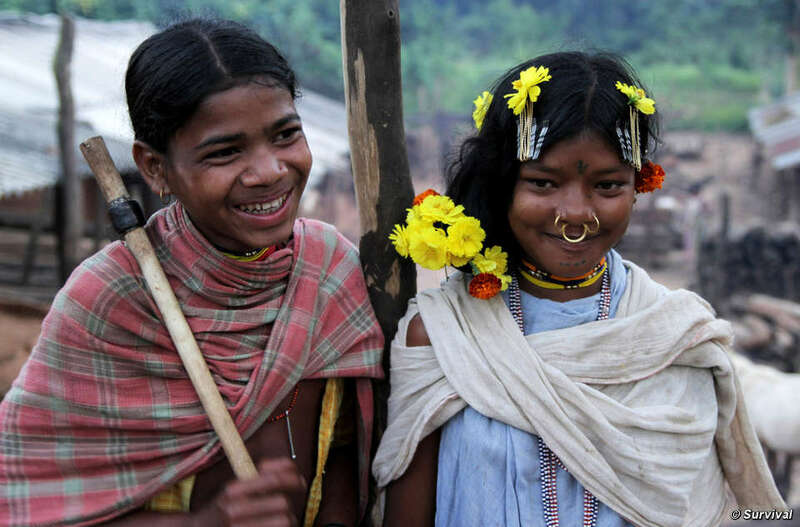 Tribal people are not ‘backward’, they haven’t been ‘left behind’. They choose to live on their land, in their own ways. Also, like us on Facebook for regular updates. The Dongria Kondh grow over 100 crops and harvest almost 200 different wild foods, which provide them with year-round, rich nutrition even in times of drought. Over generations, tribal peoples have developed complex systems to live well, together, on their land. They may be poor in monetary terms but tribal people living on their own lands are rich in other ways. They have good reason to be proud of their communities and the ways of life they have chosen. 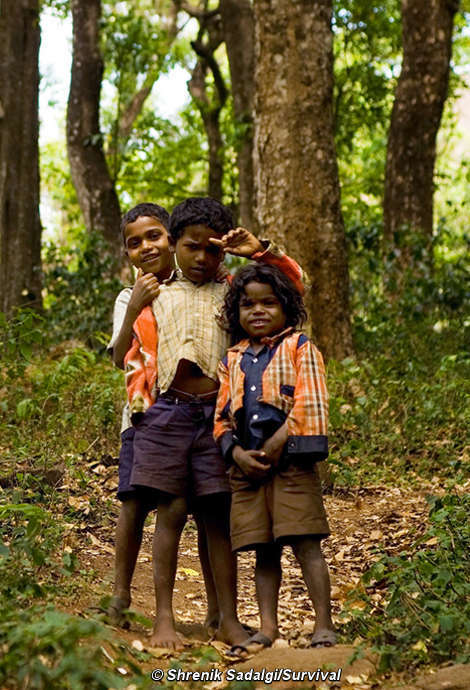 Soliga children, Karnataka. The Soliga told the government that they would rather be poisoned than leave their land. Their rights to their forests are now protected. Studies have shown that tribal people on their own land are some of the happiest in the world – the nomadic Maasai tribe were found to be just as happy as the world’s richest billionaires. Tribal peoples’ lives are not static, or ‘stuck in the past’ – they adopt new ideas and adapt to new situations just as we all do. We are all living in the 21st Century. It is simple prejudice that makes us think some peoples are ‘modern’ whilst others are ‘backwards’. This prejudice is used to justify displacing tribal peoples and pushing them into the ‘mainstream’ – on the assumption that ‘experts’ know what is best for them. 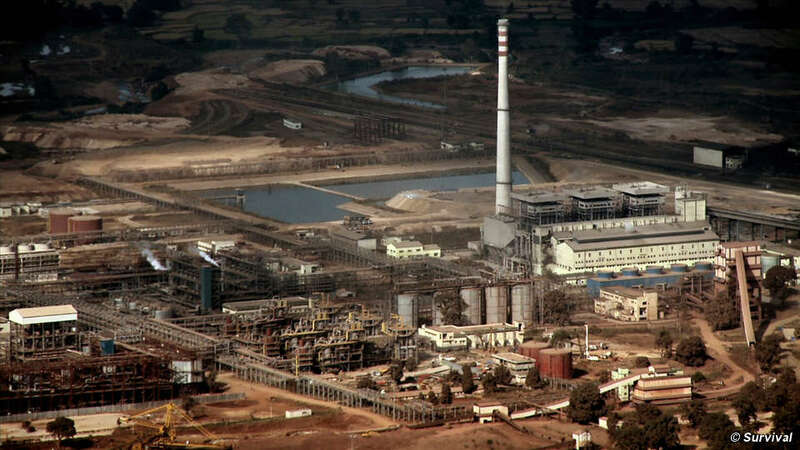 A striking example of this was the argument that mining company Vedanta Resources used to defend the devastating impact that their mine would have on the lives of the Dongria Kondh. The Dongria are united against the mine, they distrust and reject Vedanta’s claim that the company will bring development. Instead the Dongria choose to live their own way of life on their land. Despite often being described as ‘primitive’ and ‘poor’, a study of the hunter-gatherer Jarawa tribe’s nutrition and health found that the Jarawa, who remain self-sufficient on their own land, have ‘optimum nutritional status’. They have a detailed knowledge of more than 150 plant and 350 animal species. However, their neighbours, the Great Andamanese, were brought into the ‘mainstream’ by the British and robbed of their land. They were decimated by disease and are now completely dependent on the government. Alcoholism and diseases such as TB are rife. 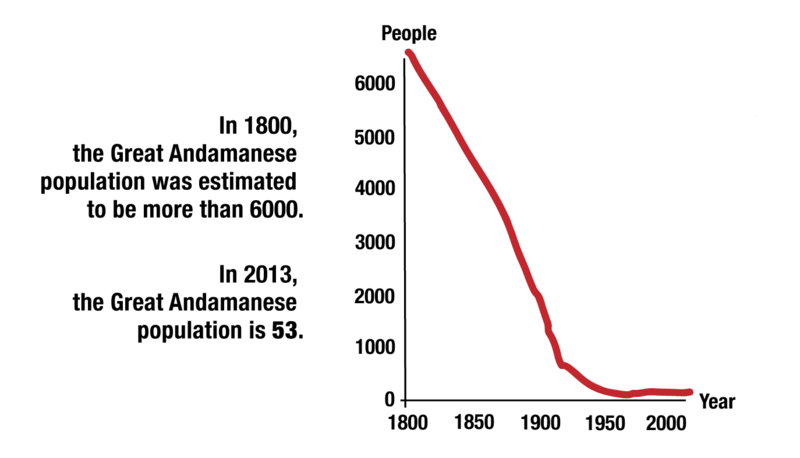 Graph shows plummeting population of Great Andamanese. When tribal peoples’ land is taken they are stripped of their self-sufficiency, dignity and all that made their lives rich. They become the poorest of the poor. 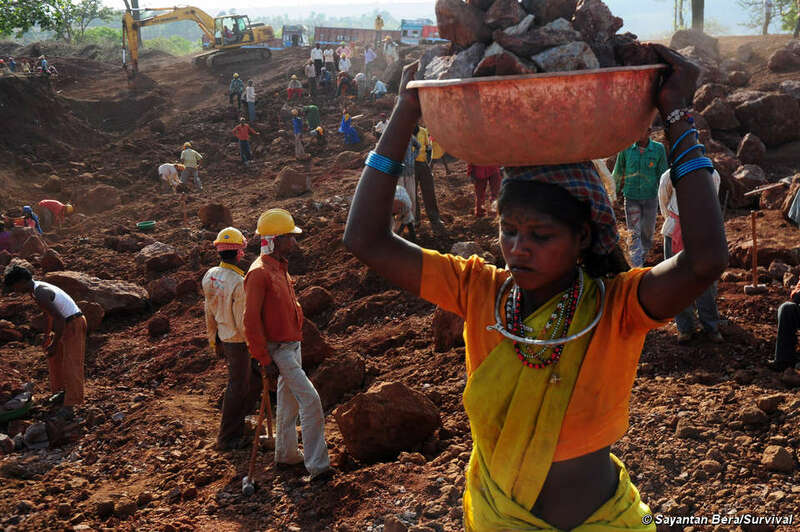 A Baiga woman works for daily wages on a mine which displaced her community: Vedanta's Bodai-Daldali bauxite mine, Chhattisgarh. Tribal peoples’ lands are still being stolen, their rights violated and their futures destroyed. And now the vital law protecting tribal peoples’ land rights is under threat. This must stop. Only tribal people should decide and control what, if any, changes they want in their lives. Tribal peoples are not primitive. Become part of the movement to challenge this prejudice and call for tribal peoples’ rights to their land to be protected across India. Enter your details and we will keep you up-to-date with the campaign and let you know how you can help. One click to unsubscribe at any time.